The Art Department at Formby High School cultivates in students an informed and intelligent use of artistic application through experimentation and investigation into diverse artist styles. The department is a vibrant and exciting place where students are continually challenged and stimulated to create a wide variety of artwork. Students of all ages enjoy discussing the concepts, issues and meanings surrounding Art and thus produce well-informed practical work. In later years, students are expected to take more responsibility for the content and overall ‘direction’ of their artistic studies. 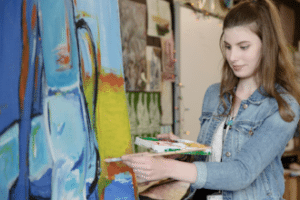 At A-level, for instance, students determine the specific focus of their practical work, continually discussing their discoveries and ideas with their Art teachers. Students will normally achieve very high standards by the end of Key Stage 3 and many continue with their Art studies to GCSE and A-level. At all stages, students create a wide variety of accomplished and individual work through continual engagement with a wide range of materials, techniques and processes. All Year 7 and 8 students study Art which follows the National Curriculum. This involves working within a number of artistic disciplines including drawing, painting, researching different styles and printing. 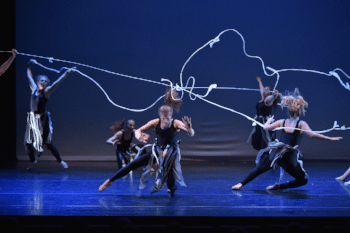 In addition pupils are introduced to a number of broad artistic traditions. From September 2019, Year 9 students will have opted to study Art at GCSE level, and will follow the AQA Fine Art specification. This is very much an introductory year to the GCSE course, with all work completed contributing to the coursework element (60% of GCSE). . The curriculum at Formby High School nurtures skills in creative thinking, problems solving and critical reasoning which boys benefit from across the school. GCSE Fine Art is an exciting and dynamic course whereby students are given the freedom and guidance to succeed. Students at GCSE study the AQA Fine Art specification, developing confidence in a wide range of traditional and contemporary Fine Art practices. There is a great emphasis placed on the students developing their own direction and work is often ambitious in scale and thought processes. Students will explore the techniques of a number of artists, using their findings to inspire their own progress. There are various extra-curricular opportunities including a yearly trip to Liverpool, GCSE workshops and drop-in sessions. The Art Department at Formby High School follows the new two year AQA Specification for Art & Design (Fine Art). Students at A Level enjoy being challenged to find a more meaningful context to their work. Work typically becomes more accomplished and conceptually rigorous. Students complete one major unit of coursework, with additional ‘workshop’ projects and ‘gallery/artist’ linked work. This includes using oil paint, acrylics, working in mixed media and drawing and printing techniques. There is furthermore a greater emphasis on Photography at this level. Students are expected to devise (in liaison with their teachers) their own particular coursework units. This also includes a rigorous written component (1,000-3,000 words). For further information on us, please visit our blog and join us!